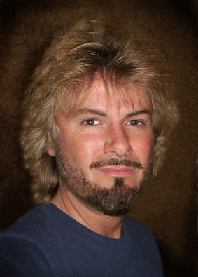 Dirk Maggs is a successful radio drama director and producer since 1988. He made a lot of shows ranging from Agatha Christie adaptations to Superman stories. He made the adaptation and directed the 6 new episodes based on Life, the Universe & Everything that will be broadcasted on Radio4 from september 2004. But Dirk wont stop here. The tertiary phase will be followed by adaptations of So Long and Thanks for All the Fish and Mostly Harmless which will run as a single eight-week block later next autumn. The other good news for the fans is that most of the original cast will still be there. Nicolas Botti : You met Douglas Adams. What did you think of him? Dirk Maggs : I liked Douglas very much. He was a brilliant mind but also an enthusiast, someone who could not be up in the intellectual clouds for long before he would want to show you a new guitar he had bought or a bit of hi-fi equipment he was very pleased with. Then he was just like a 10 year-old boy, full of fun and enthusiasm. NB : When did you first hear the original “hitchhiker’s radio” series? DM : On night shifts in the newsroom at Bush House when I was a Studio Manager at BBC World Service in 1978. In the quiet periods we would put on the tapes. It was pretty surreal listening to them at 2am when the rest of London was asleep! NB : Which do you think is the true part of the h2g2 radio series did in the radio drama history? Do you think it has a place as big as Orson Welles’ war of the worlds? DM : War Of The Worlds was a different kind of radio event, it was brilliant and innovative but it was not an original conception and in retrospect it is remembered as much as a stunt than an artistic benchmark. HHGG was genuinely original in thought and execution. I don’t know if you can describe it as THE historic radio event, but it must rank among the best loved and most respected radio events ever. NB : There have been a lot of talk about a new radio series for a very long time. Why did it never happen before? DM : Actually it was Douglas’ idea to make these series. This was back in 1993. He had heard my work on BBC Radio and asked the BBC if I could produce it. The FULL story of how this happened is in MJ Simpson’s biography of Douglas, ‘HITCHHIKER’ (Chapter 36, page 282 onwards), if you get the book you will have all the details (It was published last year in hardback by Hodder & Stoughton). Basically the project collapsed because Douglas was too busy to adapt the books himself and another writer was put forward. He was a good writer but not quite suited to Hitchhikers. Douglas was very unhappy with this first script and as a result the whole thing ground to a halt. Later in in 1997 Douglas and I discussed restarting the process with me writing the scripts, and we were going to proceed on that basis but then the Disney movie deal came through. So the whole thing stalled again until Douglas’s tragic death. After getting over the shock I realized that the film project was still not happening and rather than have no effort made to keep Douglas’s work alive, I proposed we try again – and at last here is the result. Ironically the film is now back in ‘go’ mode too. NB : Do you think that if Douglas had survived there would have been a new radio series now? Do you think he would have been involved in the writing process or too glad to let someone to make it so that he could work on other projects? NB : The list of your previous audio and radio works is quite impressive. From Agatha Christie to the adventures of Superman or Peter Pan and Goon again…? Did the h2g2 new series asked more work and attention than your previous works ? Do you have the feeling to be in front of something absolutely new for you? DM : Well I try to put the same amount of care and effort into all my productions! But you are right, one does feel this demands a special effort. I hope I can justify Douglas’s faith in me! NB : What I found the most difficult when I made the french adaptation of the original radio series was the weight of the unreachable quality of the original work. You accepted a lot of responsibilities in making the adaptation from the books and being also director of the new series. What did you think was the most difficult for you having to make a sequel in the country and on the radio where it all begun? I can understand the pressure! DM : Yeah, it’s quite a scary job, and I admire you for having to find a way to translate the original series! NB : H2G2 has lot of diehard fans. Are you afraid to disappoint them? NB : It is a damn gamble to make some new scripts as the books storyline has nothing to do with the radio series storyline. We could say globally that the third book begins at the end of the first series. Was it a difficult task to solve that problem? DM : Well I looked at how Douglas dealt with the problem. In the third book we discover the characters in locations which suggest that the second radio series either never happened or was the figment of somebody’s imagination. That was Douglas’s choice. So I assumed that maybe the second radio series – which revolved around Zaphod’s encounters with Zarniwoop – could have been the result of one pan galactic gargleblaster too many … it’s simplistic but it cuts across a lot of potential problems. For example, Trillian is quite an important character in the last three books but she never appears in the second radio series. So in this new series when she argues that the events in series two were a hallucination, Zaphod says, ‘I know they weren’t, because I was there”, to which she replies, “Well I wasn’t!”. NB : You kept very faithful to the original cast. Was it important to you? NB : Would have it been easier to start something absolutely new? NB : Peter Jones was the voice of the book. His death is a great loss for a new radio series. Was it hard to find a substitute? DM : Not as hard as I had thought. William Franklyn is very much ‘cut from the same cloth’ as we say. Very English, understated, charming… Also a great friend and contemporary of Peter’s. NB : There are also some stars in the new version. The most well known is obviously Joanna Lumley of New Avengers and Absolutely Fabulous fame. Did she know Douglas Adams work? DM : Yes but in passing. I’m not sure she knew Douglas personally. But she is a terrific actress, which is why we cast her. NB : The sound environment of the original h2g2 radio series was made by The legendary BBC Radiophonic workshop. Douglas Adams said he wanted h2g2 to sound like “a rock album. I wanted the voices and the effects and the music to be so seamlessly orchestrated as to create a coherent picture of whole other world”. The sound creativity was a great part in the success of the original radio series. How did you cope with that? Did you care a lot for the sound effects in the new series? Will it sound as revolutionary as in the first series? DM : I hope that what we are doing will conform with Douglas’s vision – certainly he and I discussed this and he liked my approach to audio production, and I’m putting every effort in making these sound like no other radio series … the listeners will be the best judges. NB : Is science fiction a rather nice experience in radio creation because it grants you a lot of freedom? DM : Yes I love it, it is a theatre in which all sorts of theories and philosophies can be explored and tested without fear. NB : You made your first radio productions in 1988? Who are you? Where do you come from? How did you get to make some radio drama works? DM : Gosh, big question. I wanted to work in film but the British film industry was nowhere in the late 70s. I joined the BBC and hated working in TV but fell in love with radio. So I got a job as a studio manager (sort of balance engineer) and woreked my way up the tree till I got into production. NB : You’ve been working for the BBC and then you left them in 1995 to go freelance. Why? DM : Too much paperwork, not enough production! NB : Great Britain has a lot of luck that it is still possible to make ambitious radio dramas. Do you think the GB drama world changed a lot since the h2g2 original radio series and that it still got a future? DM : Hard to say. I feel that the BBC needs to do more to encourage young people to listen to radio drama and audio theatre, or there will be no audience for it in a few years time. But that is why a high profile project like HHGG is good – it attracts listeners who normally don’t bother to tune in. NB : You once said “radio is the most wonderful medium”. Why? DM : Because it has no limits, no frame, no proscenium arch. It is 360 degrees in all directions, and reaches as far as human imagination can stretch. NB : Which kind of radio dramas do you like the most? SF, comedy, crime, thriller, horror,… I think you did all of them so your answer could be interesting! DM : Well I like them all! I guess comedy and scifi are my favourites. Gosh that’s hard to answer. I guess anything that makes pictures flood into my mind, that engages me with the characters, that’s for me. Under Milk Wood, Hitch Hikers, The Goons … if it’s good I will like it. NB : You also made some sound production for TV series (Mr Bean!) and animation (Tiger Aspect for Cartoon Network)? Is this very different from radio production? Do you work differently? Is this more interesting or less? DM : It’s more collaborative and takes longer. I enjoy it but it’s a different discipline. The immediacy and flexibility of radio is very addictive. NB : Oh, and I was surpised to see that you also played drums for various blues bands. I’m a huge fan of blues and my other website is about Blues! Are you still playing drums and blues? To be a musician did it help you to become a good radio director? Did it change your approach to sound? DM : Well an old producer called Denis Main Wilson (who produced the first Goon Shows) told me once that ‘drummers make good comedy producers, they know where to drop the bombs”! – I think that was a pretty good way to sum up the way I approach this job!